Recycling Works: How Do I Safely Dispose of Used Needles? A plastic cap is self-explanatory, but plastic protection sleeves aren’t something most of us can picture unless we’ve already seen them. Also called a safety syringe, some sharps have a plastic sheath that can be slid down and clicked into place to cover the needle after use. It is designed in such a way that it is virtually impossible to dislodge the sheath and pull it back up to expose the needle. After a plastic cap or protective sleeve is placed over the needle, the sharp can be placed into a tough, hard plastic container such as a laundry detergent bottle. A plastic milk jug will work, but is not made of as thick of a plastic material and a needle whose cap has come loose may be able to poke through the side. Once these two steps have been done, you may place the container right into your regular trash. 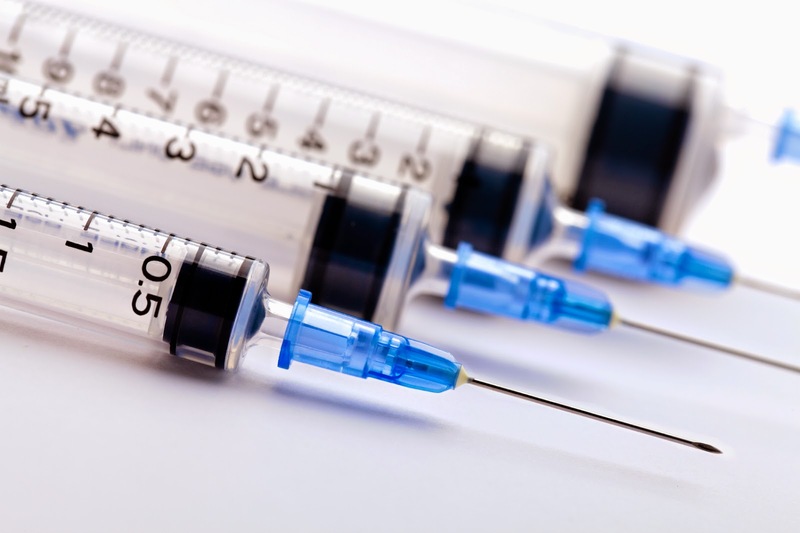 Most people are leery of doing this because the sharps are technically considered medical waste, but in the quantities that are generated by individuals, this is a viable option.